Posted on May 30, 2017 | 1508 views | Topic : Events, Property News. Cook and dine event with celebrity chef Nik Michael Imran. KUALA LUMPUR: MAJU Kuala Lumpur, a transit oriented mixed development by the Maju Group, presented Chef Nik Michael Imran cooks in an actual Maju Kuala Lumpur kitchen at Publika. The Masterchef superstar prepared grilled Angus tenderloin with turmeric and chilli lime with soy sauce dip as the main dish. The appetizer was decided by voters on Maju KL’s Facebook page through a mini contest. The “Vote for a dish” campaign started from 13th May and ends on 18 May. Maju KL has posted a voting post on Facebook – Japanese salmon mango, grilled chicken Caesar salad and watercress pear salad. The highest vote was grilled chicken Caesar salad prepared by Chef Nik. 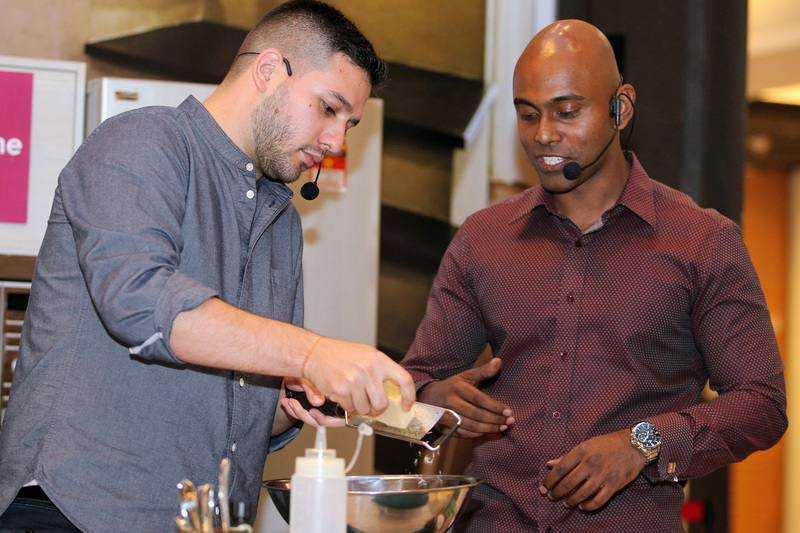 The event is to highlight a cooking demonstration in an actual Maju Kuala Lumpur kitchen. “The purpose of fabricating Maju KL’s kitchen is to create a concept of how it is living and dining in a loft apartment. The sole idea is to create sense of pleasantness and a cozy feeling for the guests as if they were invited to Chef Nik’s unit which happens to be in Maju Kuala Lumpur,” Mohd Faiq added. Maju KL previously launched a scheme called Own It Now, a home ownership programme designed to assist homebuyers towards purchasing a property while extending a financing scheme that addresses affordability concerns. Maju Kuala Lumpur is a product that is a great starter home in Kuala Lumpur.